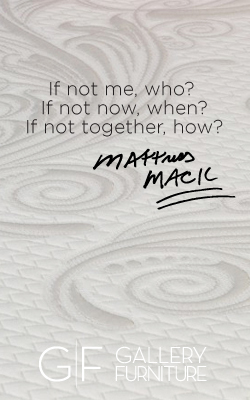 You are here: Home › Sleep Center Blog › GF in the Community › Get Your Prize! The GREATEST Weekend Giveaway Starts TODAY! 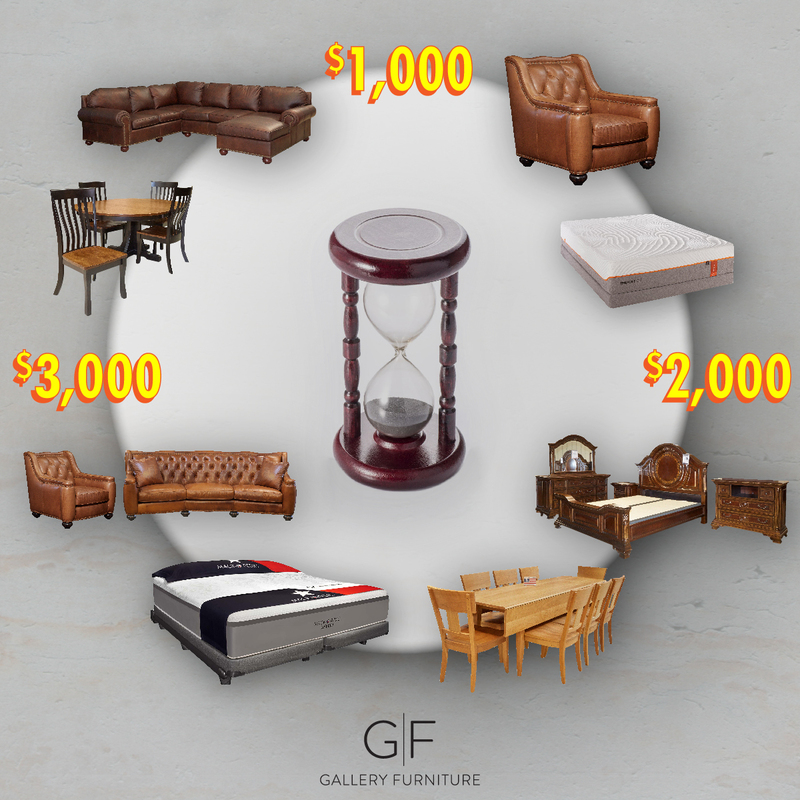 Gallery Furniture is at it again with our greatest WEEKEND GIVEAWAY ever! Featuring prizes that will make you sprint to one of our stores! Between 11am – 8pm, when the clock strikes a new hour at 6006 N Freeway, 2411 Post Oak, and 7227 Grand Parkway, you can WIN BIG on both Saturday and Sunday! For your chance to win Made in America tables and chairs, top grain leather sofas, sofa sets, bedroom sets, gift cards, a brand new Mack-O-Pedic, Tempur-Pedic, and so much more come on down to one of our great Gallery Furniture locations and enjoy! No purchase necessary, Prizes do not include taxes. Giveaway winners must pay applicable local sales tax and Gallery Furniture’s $149.99 standard delivery fee for the Houston area with the option of free pick up. All furniture prizes must be picked up or delivered on the same day they are won.